A major goal of this government’s “transformation agenda” for health has been to make the health system more accountable for health outcomes. The need to measure and improve outcomes of the system stems from the need to ensure that we are getting the right care to the right people at the right time. By measuring outcomes and efficiencies, we can make improvements to ensure that health care resources are being used appropriately and getting the right results. As part of this movement towards quality improvement, a new bill was introduced, the Excellent Care for All Act (ECFAA), on June 8, 2010. The goal of the Act is to legislate health care providers and executives to make quality improvement a priority, increase accountability for quality, improve patient care and enhance patient experience. The scope of the ECFAA has been exclusive to hospitals, however quality improvement methods are expanding to the community sector in long-term care facilities, primary care, home care and community mental health and addictions agencies. ECFAA is anticipated to apply to these sectors over time through regulation. 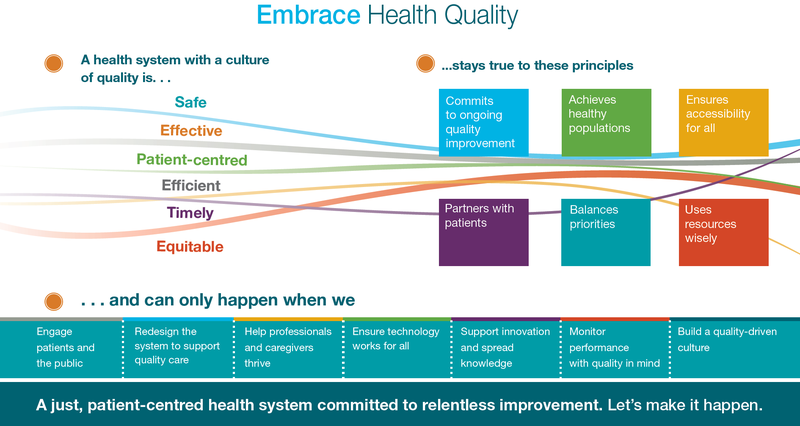 Health Quality Ontario (HQO) is responsible for monitoring how well the health system as a whole is achieving expected outcomes. HQO defines quality as safe (no harm from service), efficient (coordinated not duplicated services), patient-centered (decisions are made with clients, not about clients), effective (right service based on evidence), timely (services available when needed) and equitable (access no matter age, gender, location, socio-economic status). HQO has been working to ensure that the quality improvement agenda continues to expand to sectors beyond the provincial hospitals with specific programs targeting areas such as long-term care facilities and the primary health care sector. In March 2016 CMHA Ontario entered an 18-month partnership project, the Excellence through Quality Improvement Project (E-QIP), with Addictions and Mental Health Ontario (AMHO) and Health Quality Ontario (HQO) aimed at building capacity and enhancing quality improvement practices within Ontario’s community mental health and addictions sector. E-QIP is a collaborative initiative designed to support Ontario’s community addictions and mental health providers to do what they do best – provide quality care and treatment to people who are often at the most vulnerable point in their life. Through the execution of E-QIP, the initiative will be taking positive steps forward in ensuring that clients and families are provided with the best possible services and outcomes when receiving care and support from community mental health and addictions agencies. The project will also ensure that the dedicated and skilled services providers are well supported to improve the quality of services provided to their clients through education, training and resources relating to implementing quality improvement methods. E-QIP is based out of the Model for Improvement developed by the Associates in Process Improvement that aims to understand clear goals and objectives of a quality improvement activity and seeks to define how change will be measured and what needs to happen to make that change possible. Quality improvement changes are created through small tests of change to ensure positive results and improved patient outcomes. Quality improvement relies on building a continuous culture of improvement whereby outcomes and service performance measures are continuously monitored with commitment from senior executives to front line service provider. 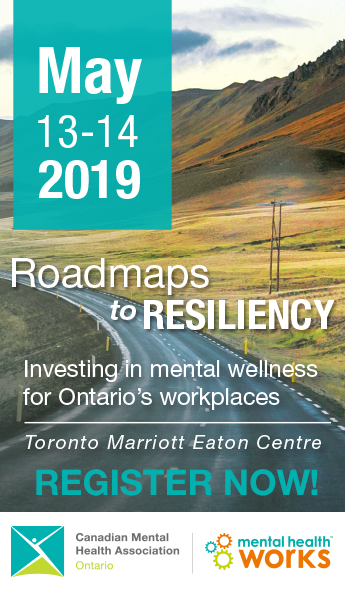 CMHA Ontario has long been working with its branches on quality improvement to understand the current state, share practices and determine the interest levels is for adopting quality improvement methods throughout the branches. We have been supporting branches in this area by gathering relevant information, organizing training and overall profiling of the issue. Video: What is Quality Improvement?